● LED white light bulb. 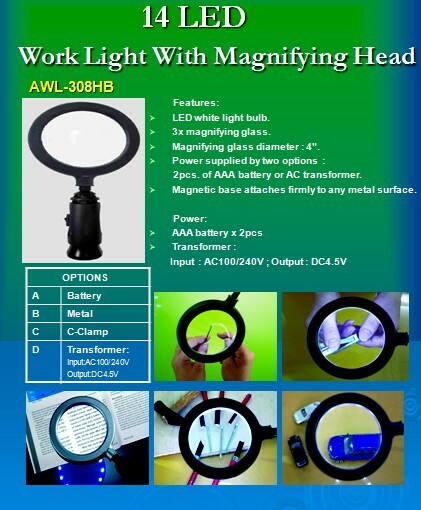 ● Magnifying glass diameter : 4". ● Power supplied by two options : 2 pcs. of AAA battery or AC transformer. ● Magnetic base attaches firmly to any metal surface.